I unsubscribed from gsalr.com alerts last fall, and today one one of the first days of 'spring' (not sure if the season has officially changed or not) that I was able to get a good bike ride in. I went to work for a couple hours then had breakfast with a co-workers. I brought my bike along and rode home the ~6 miles from the restaurant when I came across a sign. I slammed on the brakes and followed the arrows to my destination, with the hopes there would be a grimy stack of vinyl in there somewhere. 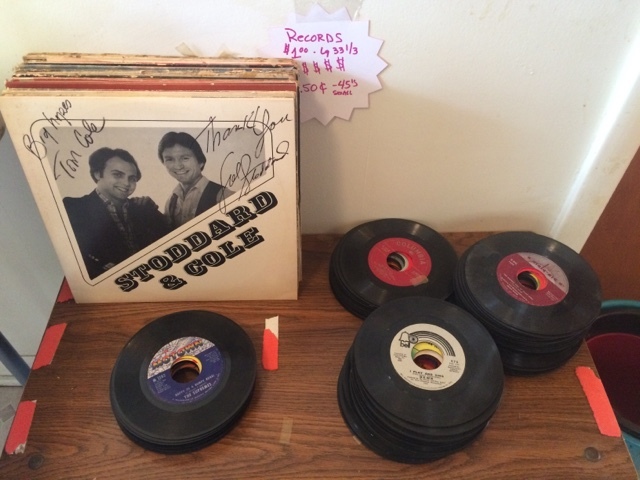 There was - unbelievably, it doesn't look like there are any other estate/garage sales in Chicago today (not that there are that many, this time of year) that have any records on gsalr so I really got lucky. I was not so lucky in that I could not find anything of interest, but a couple pics and another blog post is enough for me. I added the top LP in the stack to discogs when I got back....I rifled through the 45s for a minute then gave up. 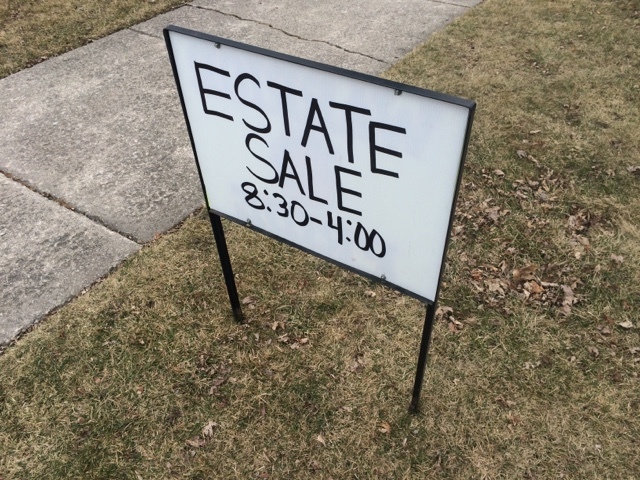 Hopefully this kind of luck is a sign of things to come as the weather improves and more and more garage sales pop up.